Do you know how to reduce kitchen waste? I know that I need a tutorial because I just tossed out some ugly lookin’ food (and I feel bad about it). I decided to write about this subject because food waste is a big deal. Roughly one third of the food produced in the world gets lost or wasted. In industrialized countries, 40% of food waste is at the retail and consumer levels. What does that mean for you? It probably means that you are not only wasting food but you are wasting money. I don’t know anyone who enjoys wasting money. 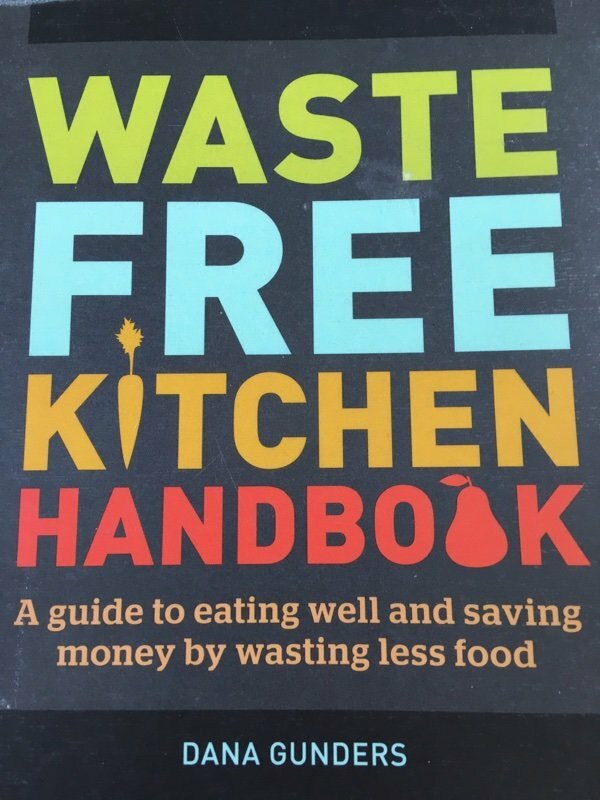 Waste Free Kitchen Handbook by Dana Gunders is a helpful book. This is one of those books you could buy and pay for within a week! I actually borrowed mine from the library but I may buy a copy because it has a section at the back about different foods and how long they stay fresh. We never felt like eating that food. We didn’t store the food properly. Buying too much is so common!! You get to the store (I always arrive with a list) and then there is a sale (2 for 1!) and you stock up. Then you forget you have it because you never intended to buy it in the first place. The key here is to take an inventory of what you throw out every day for two weeks so you get a handle on what you are tossing out. After your assessment, you try to do better. As for not feeling like eating that food - many of us healthy eaters have this problem. We are aspirational in our buying. YES! I will eat four pounds of broccoli!! Then, we can’t look at the broccoli and it melts in our fridge. You have to be realistic about your actual desire for vegetables but if you go too far - Dana suggests that you blanch the broccoli and freeze it for the future. Smart! She also talks about the best way to store your food in your fridge and freezer. 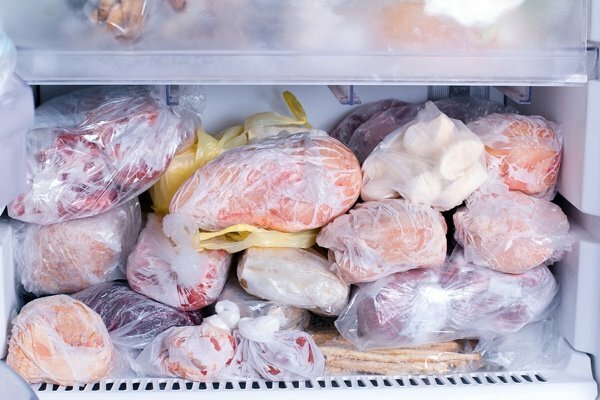 Believe it or not, you should have some space for air to circulate around the packages of food and you should label it so you know what it is! Stackable square containers are better than bags for freezer storage. There is also a great section in the book about what is still okay to eat. It turns out most expiration dates have nothing to do with whether the food is still good!! How nuts is that? Of course, it is not a good idea to eat this orange. Mold is considered potentially dangerous unless it is used to make cheese (and don’t ask me why that is). We have all had to toss out food with blue stuff growing on it. Don’t worry - you can do better next time. Have you thought about food waste? How do you combat it? I have a compost pile. 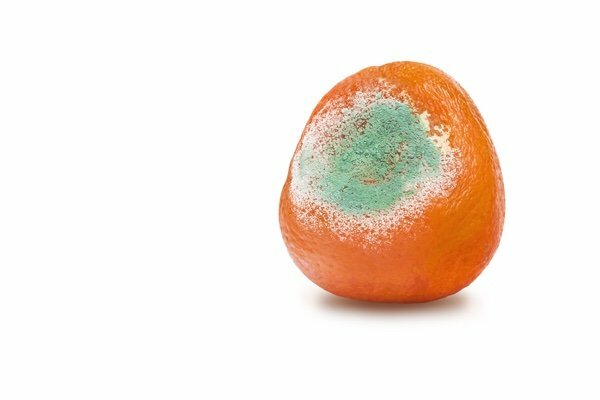 But lately I'm not so sure I should be putting produce on it that has pesticide residue. So for that reason among many others, I'm trying to buy organic produce. I belong to a food co-op and am often tempted to buy more food than I need in order to fill out the "splits" (things often come in a case or an otherwise large quantity, and people order the amount they want. If the orders don't fill the case, the food isn't ordered). I'm trying to resist ordering more than I need, although sometimes it makes sense to order it and then cook and freeze the extra. It's handy to have frozen carrots, for instance, when I need a vegetable. I guess this would be like stocking up in a store when items are on sale, though somehow I'm better able to resist that than I am the "obligation" to fill out a split in the co-op! I still waste a lot, and am trying to remedy that. My problem has to do with family members who are unpredictable. Often I expect them to eat and they dont show up or don't like the food, or I have to run to the store at the last minute because they're on the way unexpectedly. They never have suggestions for dinner, so I guess and maybe they dont want whatever I have. I throw out a lot of leftovers, like excess pot roast or ground beef, and it's inconvenient to dispose of. This is a very uncomfortable situation, and I have no idea how to handle it. I agree, Bonnie -- I wish more stores would sell unpackaged, loose produce like celery, so I could buy smaller amounts. One of the best suggestion I got was from a nutritionist who recommended that I get veggies like celery from the salad bar that way you only had to buy what you needed and would potentially pay less. I only buy what I need. I live alone now. It’s hard to shop and cook for one. I buy in bulk packs and freeze in single serve sizes. I make my menu for the week and shop off of that. I do use a lot of packaged products but it’s cheaper. I can get two weeks out of a small box of rice. I make liberal use of my freezer! REading above that someone throws out leftover potroast surprises me. I do one day of leftovers, maybe two, then into the freezer, sliced up, it goes. Then in a week or two, it is back and maybe being used in a different recipe. right now I have three slices of potroast and 4 cups of cut-up cooked chicken in the freezer. These will save me time when coming up with a weekday meal since the food is already cooked! For extra celery, I buy hummus and dip the celery, or sometimes put almond butter on the celery. It seems to me sometimes a food co-op would benefit those living alone. They can buy a regular package of food and split it up each paying according to the share receiv ed. My intentions are good when buying fresh veg and fruit but follow through does not always happen so though not the best I purchase more canned food. This is precisely the reason I don't buy many fresh food items from Costco or BJ's. My husband and I don't eat that much. We have "planned overs" that we take for lunch and really try to tailor our shopping to our decreasing appetites. I would be interested, however, in learning how to best utilize the freezer. Mine kinda looks like the one above! I will use celery as an example. Too much. Chop, sauté and store in freezer for soups and stews. Composting helps the soil and it means that vegetable, fruit or bread will not have "died" in vain. A little dramatic but I am sure you get my meaning.